Even though 2018 is just a few days old, the City is already preparing for 2019 and Phase II of the Downtown Utility & Streetscape Project. Construction won’t start until Summer or Fall of 2019, but we want to let you know what to expect with this next phase of construction in downtown. Today, we have invited Jes Gearing from the City of Lynchburg Department of Water Resources for a brief Q&A about the next phase of construction in downtown. What Is the Downtown Utility & Streetscape Project? 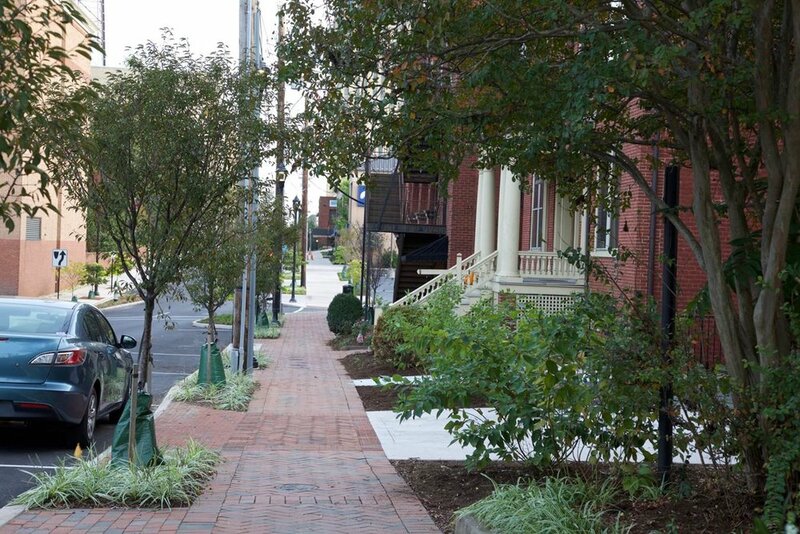 In 2015, the City of Lynchburg began its extensive fifty block Downtown Utility and Streetscape Project. Our water system is old—so old, in fact, that some of our active water pipes date back to 1829. With the downtown area growing, we decided that it was important to update our water infrastructure to meet current and future demands. While improving the underground infrastructure, we will also update the streetscaping above ground to enhance our vibrant downtown’s curb appeal. After installing the new water pipes, we are replacing curbs, gutters, sidewalks, adding traffic calming devices, planting new trees and shrubs, installing additional benches and trash cans, and installing new lighting. Phase I of this project was completed in Fall of 2017 and included Church Street and Main Street between Fifth and Eighth Street. Where Will Phase II Be Located? Phase II of this project will be on Commerce Street between Fifth Street and Ninth Street. It will also include Seventh Street and Eighth Street between Commerce Street and Main Street. Why Did the City Pick This Area for Phase II? – First, there are a significant number of water main breaks in this area which have resulted in damage to public and private property, as well as in water service disruption. The sooner we can replace the pipes with the greatest number of problems, the better. 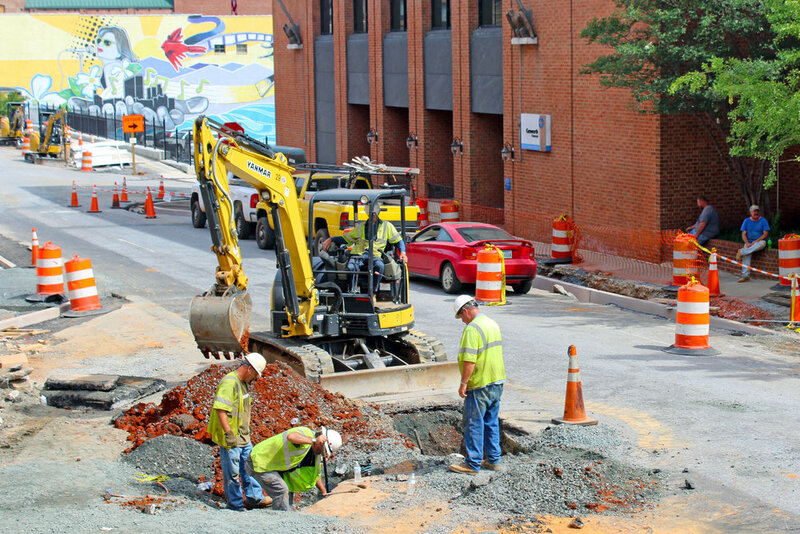 – Next, moving in a linear fashion from Fifth Street towards Twelfth Street in order to improve water flow and pressure, using Phase II to connect to the completed Phase I pipes makes good sense. In Fall 2017, we began to meet with businesses in the Phase II area to discuss their needs and concerns regarding the project. With their understanding and cooperation, we are able to plan this project more than a year-and-a-half out. – Finally, as with most things, the location and size of our next project area largely depended on budget. With Phase II, we were limited to a five block area and this one was the most logical to complete next. What Will the Area Look Like When It’s Completed? Here are some photos from Phase I of the project. As you can see, the new streetscape design includes wider sidewalks, more green spaces, beautiful street lamps and some bricked crosswalks. The project is estimated to last 12-14 months. We will break ground after completion of both the Main Street Bridge Replacement Project (http://www.lynchburgva.gov/main-street-bridge-replacement) and the Fifth Street Corridor Utility & Streetscape Project (http://www.lynchburgva.gov/fifthstreet), near the end of Summer 2019. So What Is Happening Right Now? This project is currently in the design phase. Since we won’t start construction for another year and a half, we will use this time to continue working with downtown businesses in the Phase II area in order to inform them of the process, answer questions, and gather input on the streetscape design. 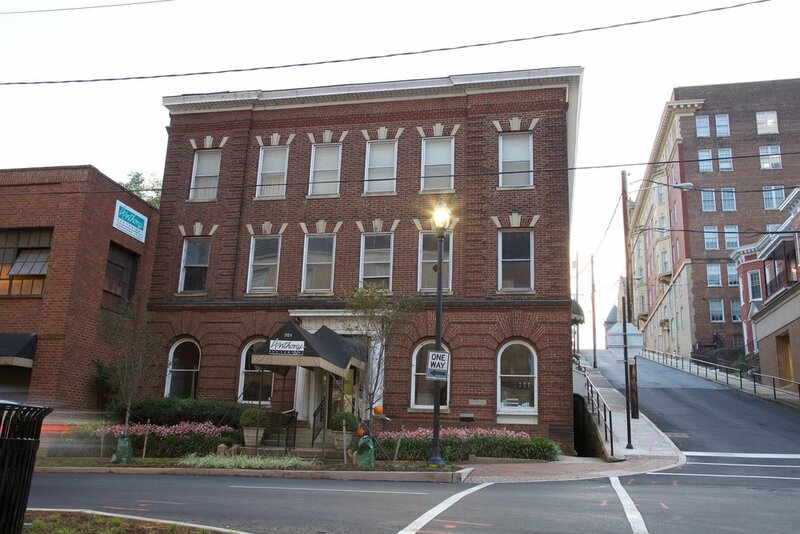 We will update the project website (http://www.lynchburgva.gov/downtownphase2) as soon as more information is available. If you have any questions, please feel free to reach out to me at any point at the Department of Water Resources at jes.gearing@lynchburgva.gov. Thanks to Jes for her updates and answers!